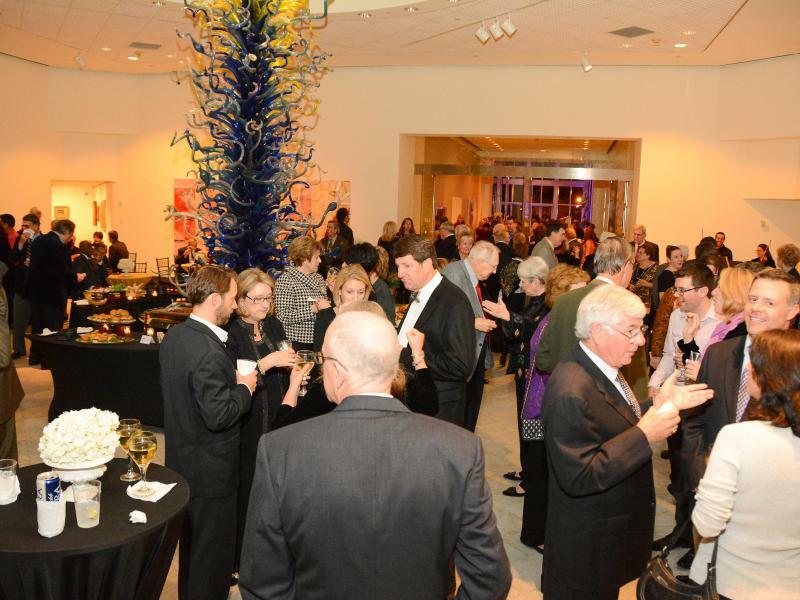 Thank you for considering the Orlando Museum of Art for your upcoming private or corporate special event. 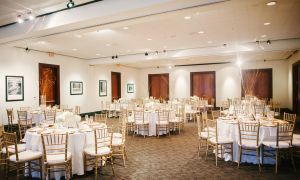 We offer both beautiful and functional spaces for everything from cocktail receptions to galas, as well as small board meetings to large conferences. Our friendly and professional staff look forward to working with you to make your event one to remember. The following spaces are available within our venue. Prices listed refer to a 4 hour time block. Available rental times are noted next to each space. Gallery space with incredible natural light, marble floors and walls adorned with the Museum’s artwork. 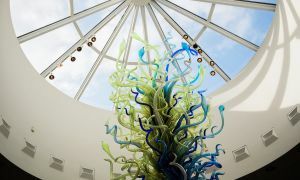 The natural light flows from a domed skylight, perfectly situated over Dale Chihuly’s signature glass sculpture, Citron & Cobalt tower. 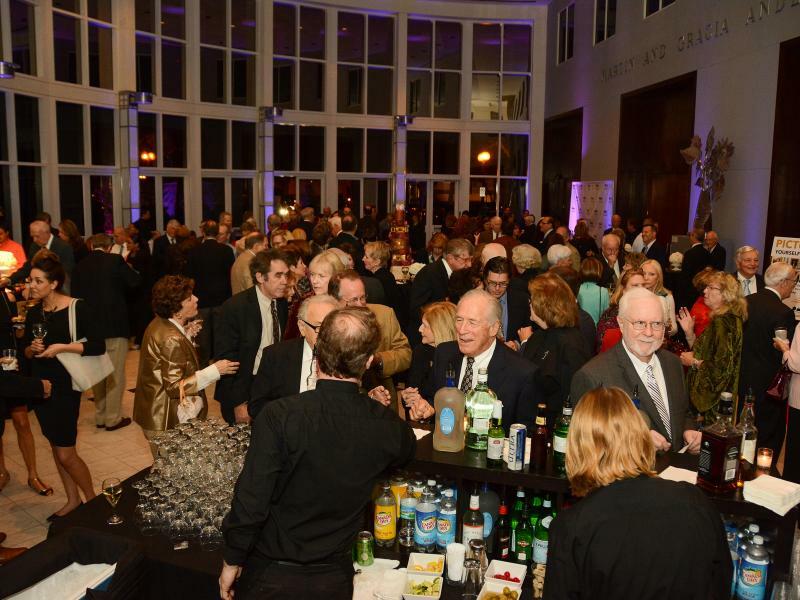 This central gallery opens up on every side to the Museum’s other galleries and our Rotunda, making it an ideal cocktail reception location. For smaller groups you can host your main event here and provide up to 100 seated guests with a night truly inside the museum. Floor to ceiling windows provide a park view in Meeting Room A. Rich wood paneling, plush carpet and flexible space options enable a “custom fit” for a variety of event designs including single room use for buffets or dessert tables, lounge spaces and more. Rental options include the use of these plush, carpeted spaces independently or in conjunction with each other. These rooms are commonly used with the Rotunda for receptions of 150 or more guests. 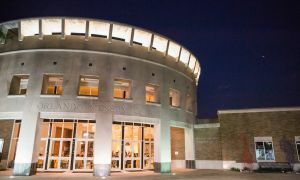 Renting the Full Museum for your special event gives you and your guests the opportunity to enjoy all the spaces and art our beautiful facility has to offer. 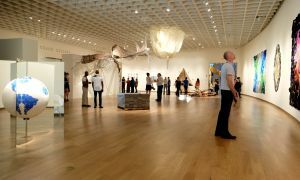 All galleries are open for the duration of this event and gallery security is provided. 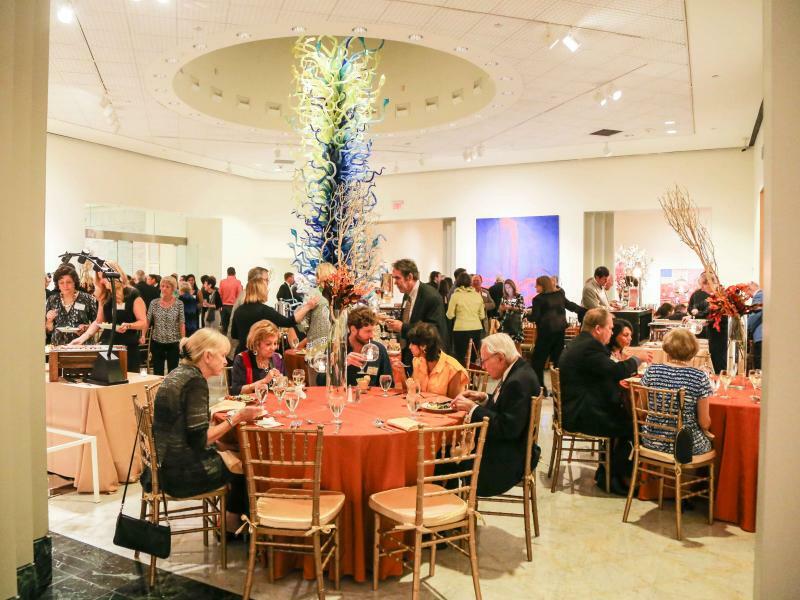 Full Museum Rentals are encouraged for special events with 250+ guests. Rentals between 5:00pm and 11:00pm. 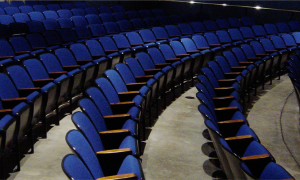 This fully accessible 250-seat space has excellent acoustics. The space is perfect for presentations, award ceremonies, live entertainment, films screenings and more. Graduated seating assures maximum viewing from all seats. 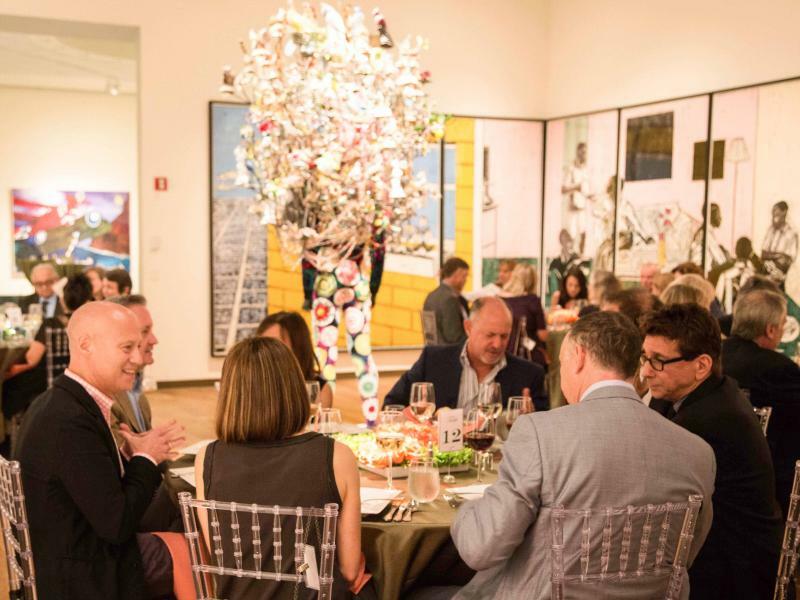 Allow your guests to experience the fine art from the Museum’s own permanent collection of 19th and 20th century American Art as well as outstanding traveling exhibits. 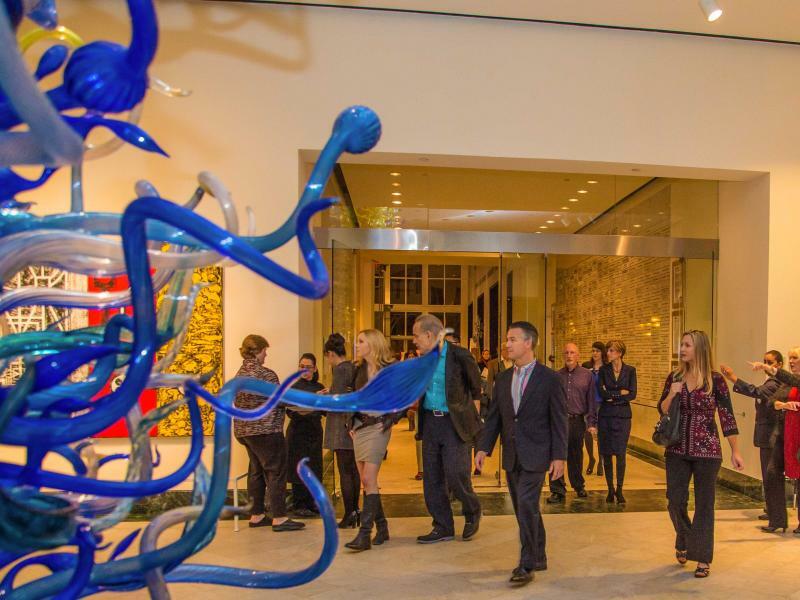 Our beautiful galleries provide a premiere entertainment locale and an unique experience for guests. 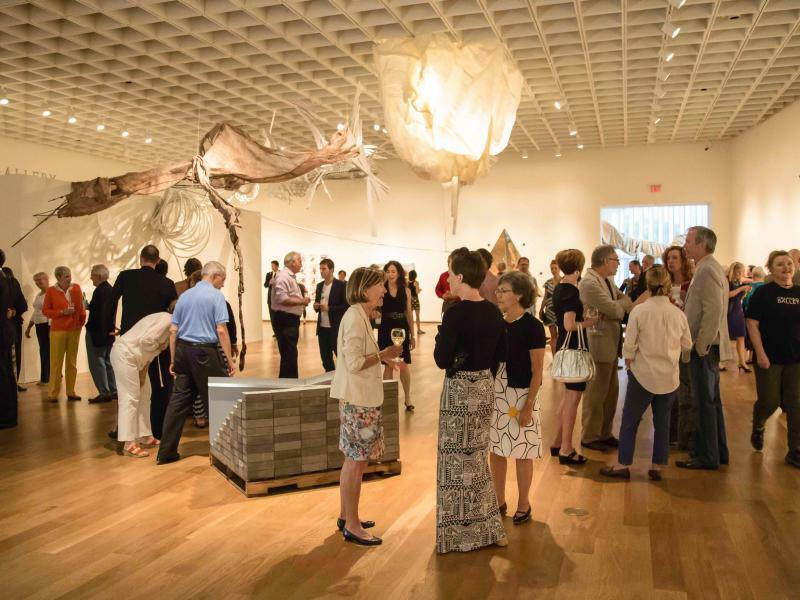 Interested in an Event at OMA?